Note: I've got yet another wonderful guest post from a wonderful blogger. Not only does Victoria have a sweet heart, but she also shares my love for snail mail, teaching, and taking pretty photos, too. Spring can be so confusing. One minute the sky is a beautiful blue and everything seems pretty and new. The next, the skies are grey and full of rain that leaves everything looking muddy and on its way out. On the day that I put this post together, the former was true. I spent a little bit of time taking a walk by the creek snapping pictures. It wasn't long though, before I hurried in for a cup of tea. 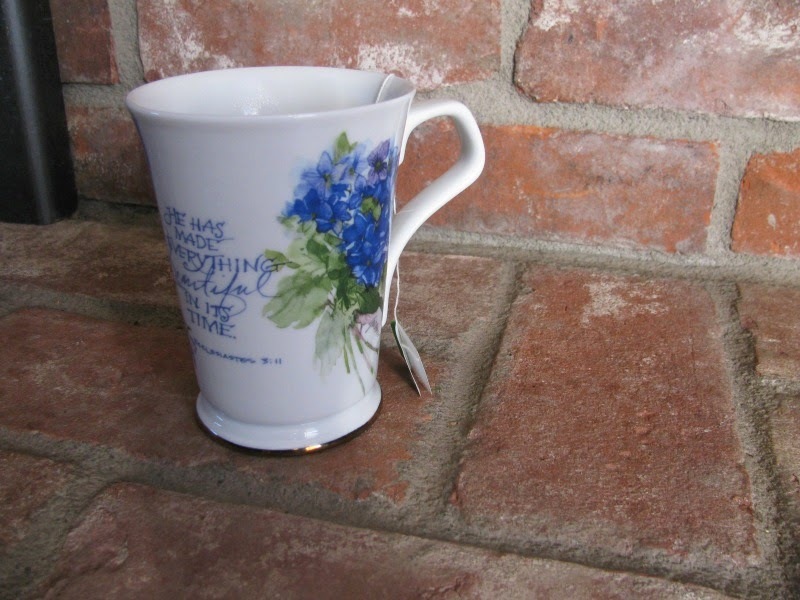 A good cup of tea is one of my favorite things about spring. 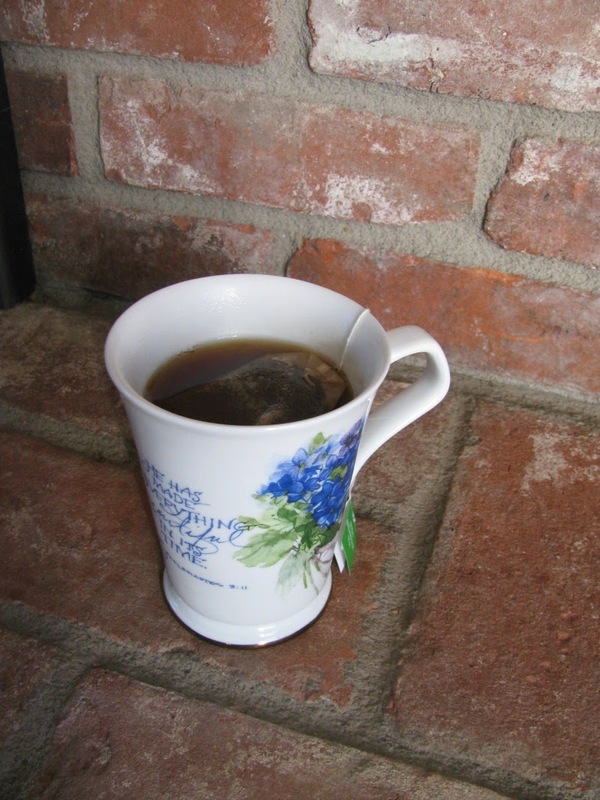 Whether it's tea with milk, mint tea, or lady grey, I'll be happy to sit for a bit with a warm mug in my hands. These moments of traipsing around outside will become "everyday moments" soon enough...For now, I'm taking them as often as I can get them, even if it means hurrying inside to warm up again. 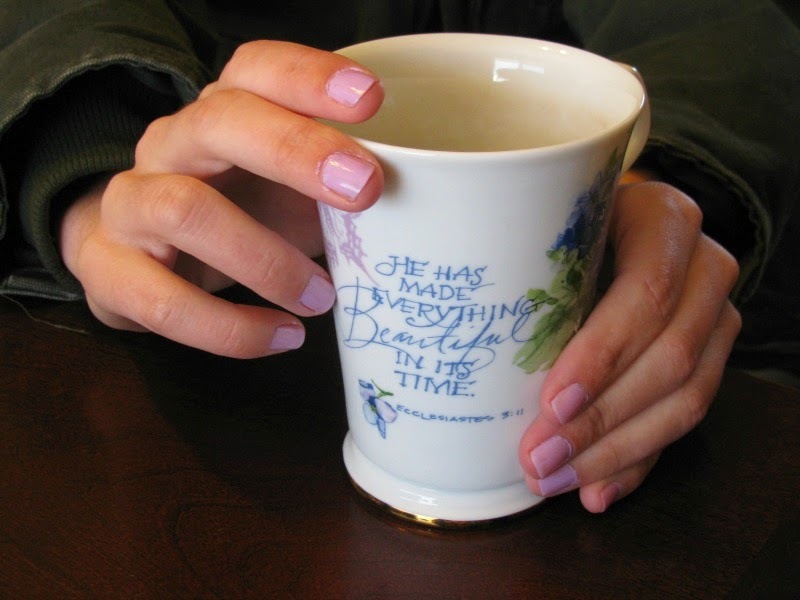 As this little cup reminds me, God is making all these moments possible. He has given me eyes that see, legs that move, and He fills the earth with so much beauty. By His grace, I can see right beyond that beauty to what it is pointing to, namely, my great God who made it and sustains it all. Take a walk. 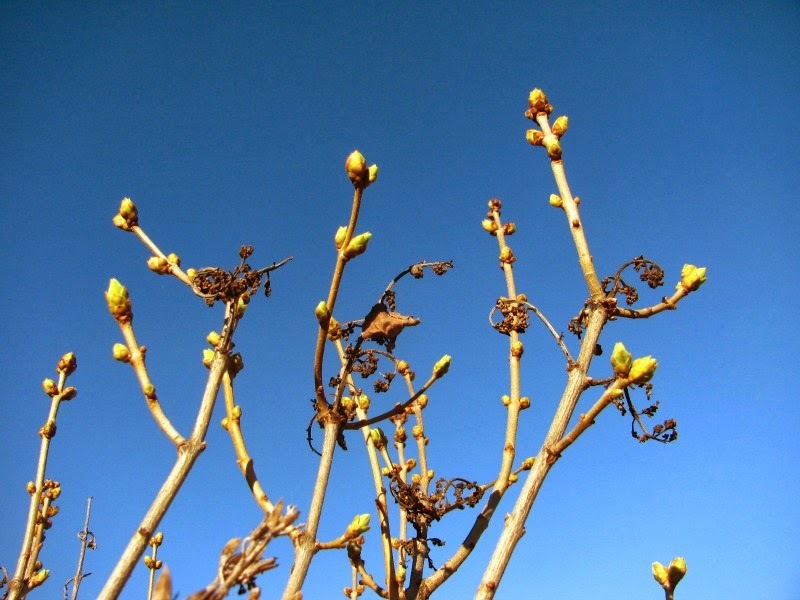 Enjoy the blue skies, the birds that are singing, and the signs of new life. When you do, remember that everyday these moments are brought to you by God and meant to lead your soul to delight in Him. That is beautiful. Check out Victoria's blog here and go say hello! I love that! Even with these rainy days (like I'm having today! ), I am trying to be thankful for God giving us the rain and making things new again. Also, my plants really needed the rain! Such a good moment to just enjoy and be thankful for! Thanks for sharing! Those moments are my fuel for the rest of the moments that make up a day! In those moments, my soul becomes quiet and reflective...My gaze shifts to God and everything makes sense again.